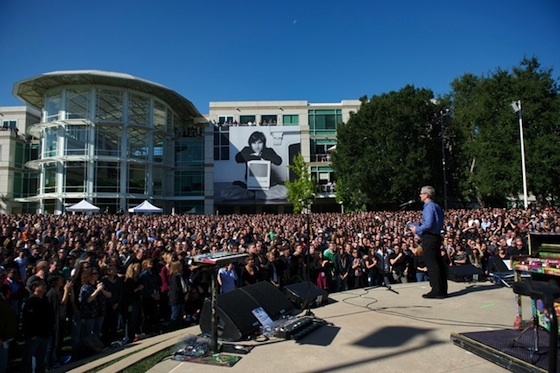 Apple has posted a video from the Steve Jobs memorial celebration which was held on the main Cupertino campus last week (October 19th). The event was exclusively streamed to all Apple employees around the world, but now we get to see the full event. The 80 minute video can be seen on Apple’s website. In order to stream the video, you will need Safari 4 or 5 on Mac OS X Snow Leopard or Lion, Safari on iOS 3 or later, or QuickTime 7 on Windows.